LOLZLetter Edition 9| Running Shoes...Just for Running? And Reebok back in the Running Game? Thank you to everyone who shared. From sharing alone, the newsletter got 40 new subscribers. Welcome to everyone tuning in for the first week! Every share does matter, and it might get annoying to see me retweeting or sharing “the shares,” but it does mean a lot. 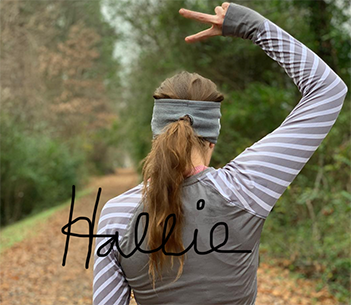 When I asked on Instagram what people wanted to read about, many people requested a newsletter about using running shoes outside of running. The short answer is: Yes, but they will break down much faster. Many articles and blog posts tell you: only wear your shoes for running. They are right, and if you want to save money and the lifespan of the shoe, then you should only wear them for running. But is there anything wrong with wearing them to do daily activities? No. Most people, myself included use an “old pair” of running shoes to walk around. Maybe it was a shoe you didn’t love. Perhaps you’ve put 400 miles on them, whatever the case, you retired them from running. Running shoes are not designed for lateral and side to side movements, and will break down, rip holes in the sides, or peel off the bottom within 2-3 weeks. So don’t wear them for activities like basketball or tennis. Do You Want to Spend a Lot of Money on Shoes? You can get a cheaper pair of shoes to “kick around and do errands in.” I tell anyone that comes into run specialty: I’m not naive. I know Nikes look good, and I know the majority of running shoes don’t. They won’t up your shoe game, and most running shoes aren’t the lookers of the shoe world. It's easy to find a more fashionable shoe to walk around in. Go find a $40 shoe that you “like the look of” and wear that grocery shopping. Yes, I work at a running store, but I’m not going to lie and say running shoes are trendy and cute. That isn’t their function. A running shoe has one primary purpose and that is for running. For specific injuries, you need to have a supportive shoe, or you won’t heal. If you’re suffering from an injury such as plantar fasciitis, you need a well-cushioned shoe all of the time to allow healing (not some of the time…all). It's essential to have a supportive shoe if you are coming off injury. You might have only run 20 miles in the shoe, but if you have worn the shoe for 8 hours a day at work for a week, that is 8 hours of stress on the shoe. Many nurses go through shoes faster than runners because they are walking and using them more. The more you use a shoe, the more it breaks down. This includes walking, the gym, or running errands. Type of shoe: Minimalist shoes last less. It's less of a shoe. The Nike 4% is designed to last about two marathons. Yes, 2. That’s it. Running Style: If you strike somewhere strongly (whether it’s the heel or the forefront), your shoe is going to last less. This includes myself as I tend to burn through shoes quickly. Research now shows that there is no right way to run. How you run is how you run, and you must take that into account. How Much You Use Them: If you spend 10 hours a day walking in the same shoe, they are going to last far less time then running. For the most part, shoes last between 300-400 miles. I always tell people if your legs feel less tired or you are getting aches and pains but haven’t done anything differently; it’s probably the shoes. I don’t keep track of mileage on my shoes but when things start to hurt or ache that didn’t before, I retire them. The bottom line is: Yes, you can wear your running shoes for most everything. It will be more comfortable. However, your shoes will not last as long. What is Keeping Me Entertained? It only seems fitting that with the Boston Marathon today (Good luck to everyone running)!, to include this piece interviewing the Marathon Investigator from Jen Miller. It amazes me how many people cheat during races. It’s sad, but also incredible that Derek is paid by races to catch cheaters. One of my biggest “claims to internet fame” is the year I ran the Haddon Township Turkey Trot and Mike Rossi claims to have finished in about the same time I did even though “he started in the back.” (He didn't use me specifically but claimed to finish in about the same time I did so we would have run near each other). He was running the 5k, for his Letsrun redemption race, and my blog got thousands of hits when they googled Haddon Township Turkey Trot. Long story short, he clearly cut the course, but I had people asking me for weeks if I had seen or talked to him (no). Recently I started using the Reebok Floatride Run Fast Pro racing flats. At $250, they are as high end as the Nike Vaporfly 4% but in my opinion a better 5k and below shoe. The flat is more responsive than the Vaporfly, and it feels like you can get a faster turnover in the Reebok Floatride. Plus, there is far more traction than the 4% so if it’s a rainy day, you might consider these. You can read the whole review here. As I mentioned, I will keep discount codes for the newsletter. Coros GPS Watch: I reviewed the apex watch here. It’s become my watch of choice. I appreciate how easy it is for all of the basics: time, distance, pace. As well as having a lot of neat features like tracking elevation, or even your training load. rabbit apparel 10% off As most people know, I love rabbit apparel and have been with the brand for 2 years now. For all you locals, we just started carrying rabbit at RunningCo. as well :-) My favorite pieces are the legs long (yay pockets). Giveaway Winner and Another Giveaway? The winner of last weeks Sharing Giveaway for the four pack of collagen water is Sarah T who shared on Instagram. Just reply here, and I’ll get it out to you! I like the idea of giving something away on the newsletter if possible. Next Week I’m giving away a Trigger Point MB5 Massage Ball. The MB5 Massage Ball is meant to relieve tightness in hard to reach muscles like the glutes, hips, and shoulders. I use one myself for the glutes, and appreciate it. All you have to do is share the newsletter and tag me, or respond through email. You can share any way you would like: Instagram, facebook, twitter, forwarding an email, DM your friends, whatever. Here is the internet link. I will respond to everyone who shares (so if I don’t, make sure to let me know again). I appreciate every single email back and try to respond to each email. Any feedback good or bad is always helpful. Is there a specific topic you want to see more about? Don’t be a stranger and let me know! 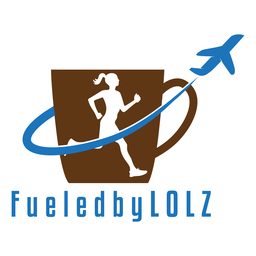 You can email me at FueledbyLOLZ@gmail.com. All feedback is helpful, good or bad.